Thanks Varda. I think you will like this one. If you don't have a YW starter you can certainly sub your SD version. Looking forward to seeing you and the rest of the gang soon. Booked a nice hotel for the night in Boston by the Seaport so should be a fun weekend. Buttermilk usage here is very wise, with all the wholegrains as it helps strengthen the dough structure. The crust and crumb are sublime!! lovely bread Ian, as always. I guess that your wife shouldn't complain against such a bread. Thank you Khalid for your kind words. This one came out very nice and I'm not sure if it was the buttermilk or the Turkey Whole Wheat flour, but it sucked up the liquids like a sponge. You would not know that this was such a high hydration bread by the way it felt but it certainly benefited the crumb which was nice and soft. Look forward to your next bake when you are feeling better. Turkey was the liquid kind:-) One thing is for sure, the flour kind sure has a nice color when baked inside and out. 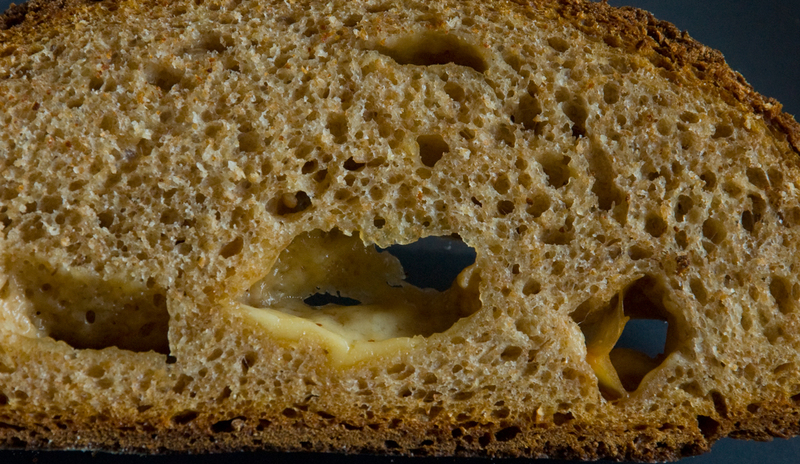 The large cheese chunks sure made holes mice would be proud of too :-) This bread just has to taste great wth all that smokey cheddar. I love the way the way the boldly baked crust came out. It just looks delicious. 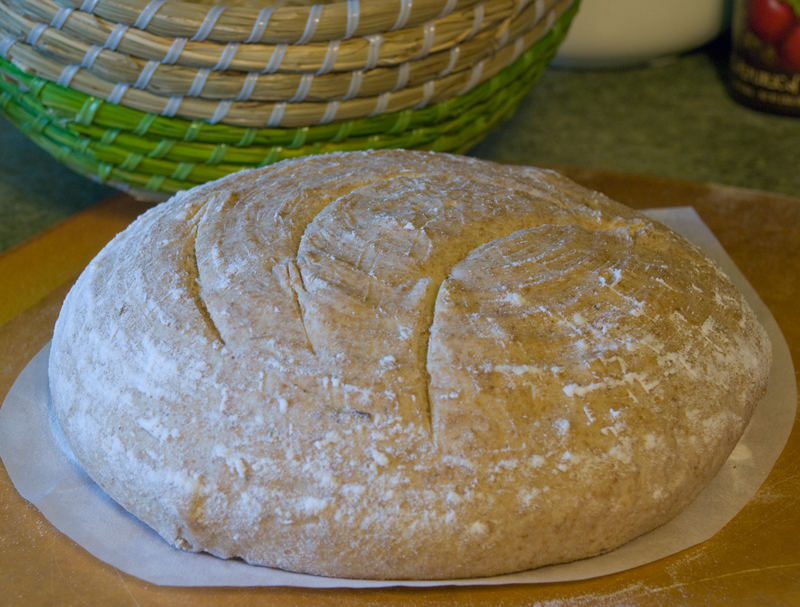 100% whole grain breads, especially WW, really soak up the liquid and benefit greatly from a long autolyse of at least a couple of hours if you have the time. Overnight in the fridge is better. Never baked with buttermilk much except for biscuits. Buttermilk is a pretty thick liquid (only 85% water) and that helps the dough not feel so quite so wet too. 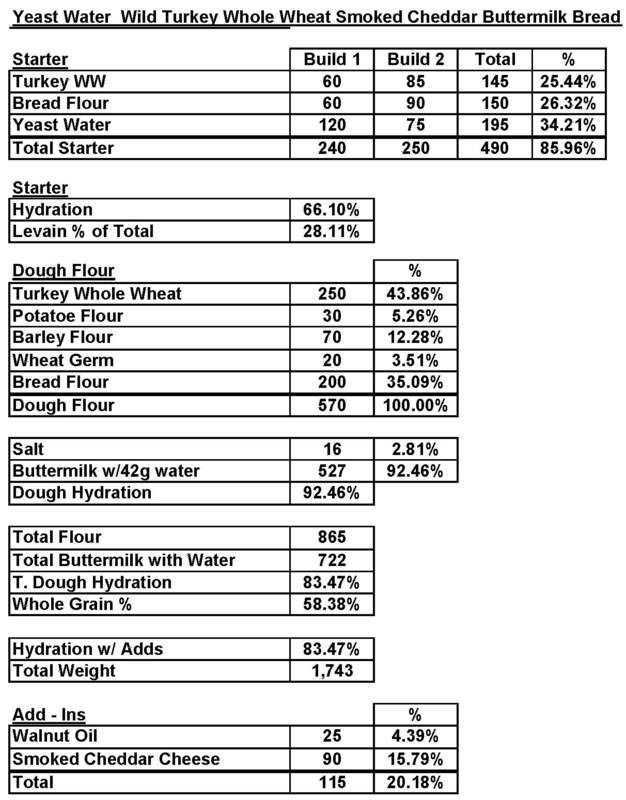 If you didn't take the 15% less water into consideration for the buttermilk the hydration is really around a more normal 75% for you. Still, the whole grains alone would have sucked up the excess water. I've go a 100% whole grain pumpernickel using the new 2 week old ww starter that is 87.5 % hydration, (was a sloppy, pasty, sticky mess) that baked for 11 hours, low and slow yesterday. Took out of a still warm oven this morning 8 hours later and wrapped in cotton cloth. Will post it later. Nice baking as usual and another good looking and fine tasting loaf results - this time 100% whole grain and healthy too. Thanks DA for your comments as always. I figured the buttermilk must have been one of the reasons why I needed to add so much more liquid. I will have to calculate that into the formula next time. I have not tried your new spreadsheet just yet, but will start to play around with it soon. This was a tasty bake for sure and I love smoked cheese and I'm becoming a big fan of this Turkey Red Hard Wheat flour. I bought it from Breadtopia.com so if you get the urge I highly recommend you give it a try. 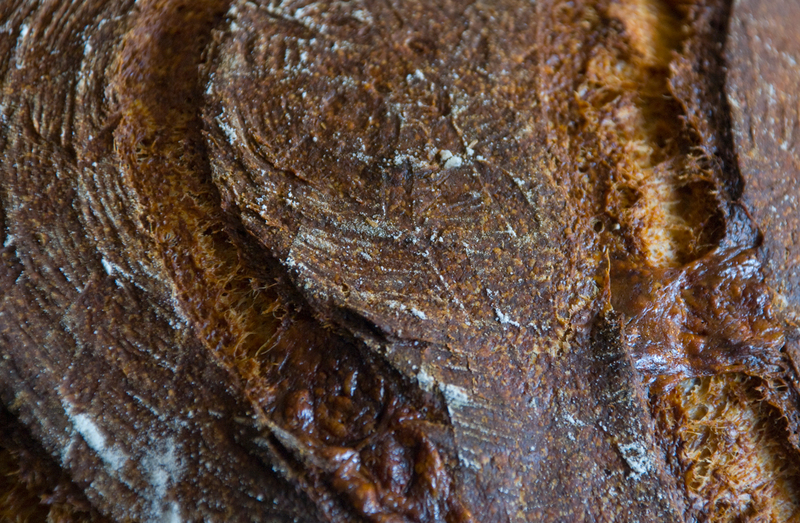 I definitely need to try one of the long baked rye breads soon. 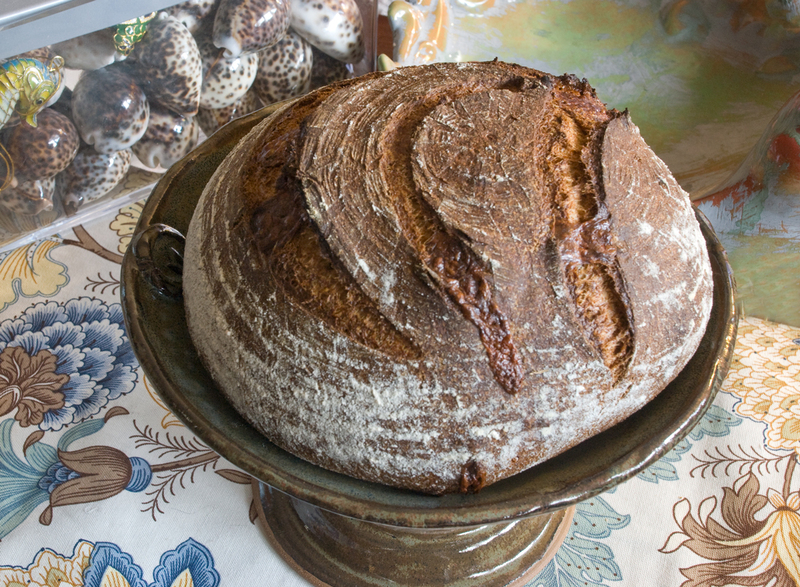 I'm looking forward to trying Varda's bakes from her class next weekend at the TFL get-together. I will keep a look-out for your post on your latest creation as it sounds like it's going to be another tasty one. Was it as nutty as you wanted? And how well did the flavour of the cheddar hold? 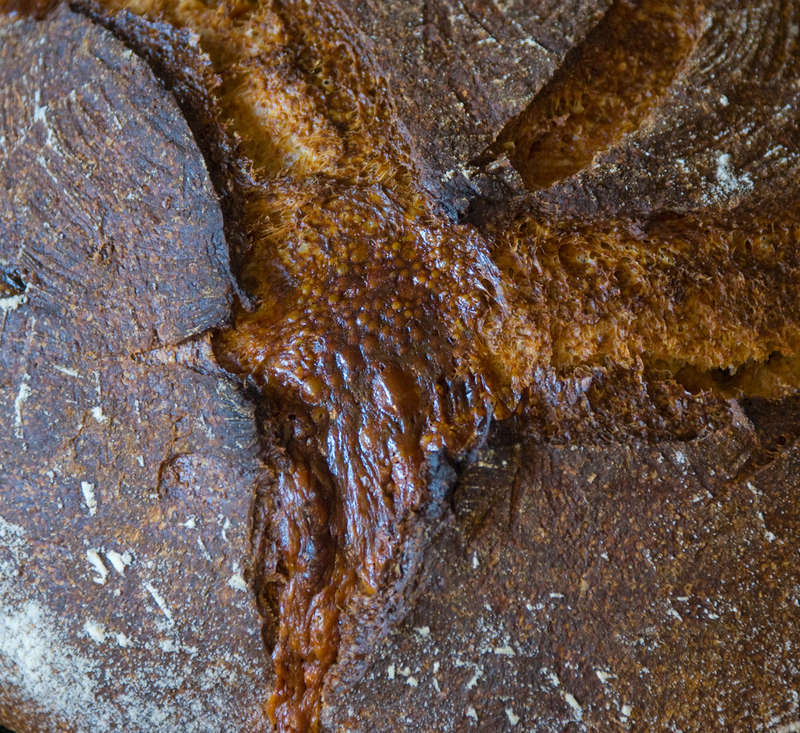 Either way, the loaf has a beautiful, dark chocolate brown crust and a nice aerated crumb. I definitely wouldn't complain if I had a slice or two. I had difficulty figuring out what to call this one and changed the title several times. It does have a nice nutty flavor and aroma and the cheese flavor does hold up. Glad you liked it. Look forward to reading about your next creation. Nice one as usual, Ian. Nice one as usual, Ian. Specially, the cheese in the bread is no shy one. 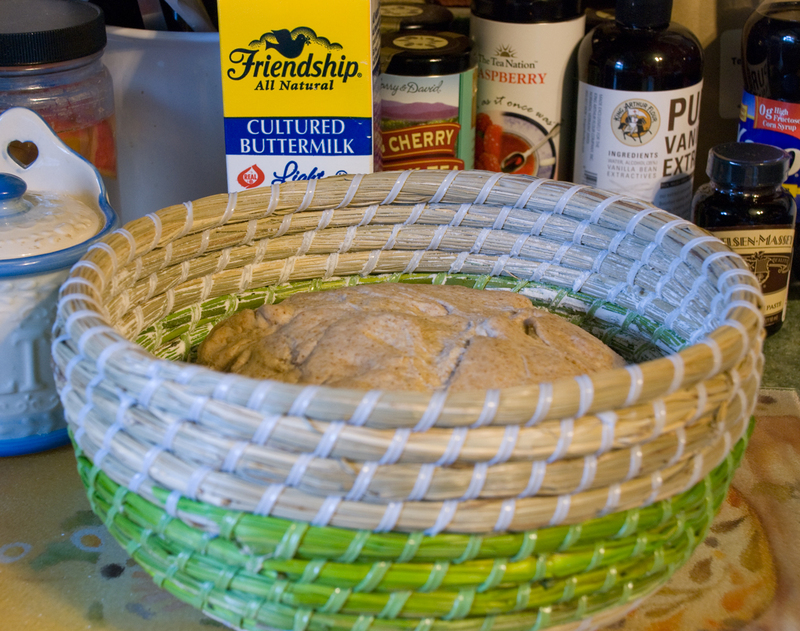 I just about managed to find a source for kamut & spelt flours and then you tempt me with another variety of flour! And my fridge is already bursting to seams with my bread stuff. Glad you like it Alpana. You will like the Kamut and Spelt. Always room for something new :). I too have challenges fitting all my baking supplies. I have a small refrigerator I keep some of the flours and grains in and 2 big plastic bins with the remainder. My starters usually stay in my main refrigerator. Hopefully later this year I can replace the old refrigerator I got rid of last year with a new one I will keep in my gargage. Then I will have plenty of space! Look forward to seeing some of your bakes with your new flours.